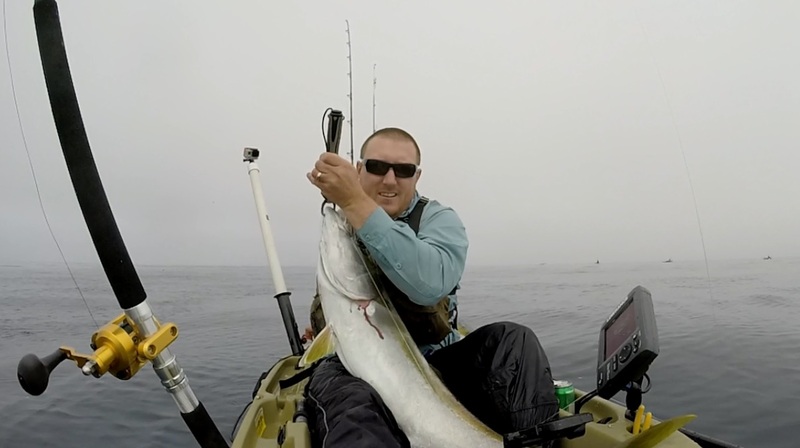 Ryan Howell is a kayak angler that began kayak fishing in 2004 in Malibu. After moving to the Central Coast in 2007, he and JK saw a need for a local kayak fishing forum and formed CCKF.NET. He targets everything from rockfish to yellowtail and everything in between but his favorite thing to target is rockfish. Ryan has even been used as a large top water plug for 20ft great whites. Ryan hosts one of the largest kayak fishing tournaments on the west coast, the Central Coast Slam Down. He is on the pro staff for Hobie Kayaks, Shark Shield, FINS Fishing Braid, and Pro-Cure Bait Scents. Ryan’s personal best catch from a kayak was a 50 lb white seabass. He also came in first place in the 2015 Angler of the Year. When he’s not fishing, Ryan is fighting wildfires in California. Bobby, I order them off Tackle Warehouse. Really enjoy your videos on fishing, surf perch and rigging for rock cod. Im 65 but still in pretty good shape, and I am very interested in taking up ocean kayak fishing. I live in central valley near Modesto, but retired and plan to get on the water as much as possible in the future. I have started looking at kayaks, and am certain i want pedal drive, but without costing a mint. Two questions. First, what would you recommend that a guy could stick in the back of his truck, wouldnt need all the bells and whistles for a beginner like me? Second, how does a guy go about joining the CCKF?